I’m a single girl. Perhaps girl is a misnomer. I’m the single female. Yerrrooowww. I’ll embrace my inner cougar this week. I enjoy the occasional fantasy. This weekend my 16 year old son’s friend spent some time with us. No, not going there too creapy…don’t jump the gun on me, you’ll get to the wrong punch line. He asked me if I knew…Caleb so and so. 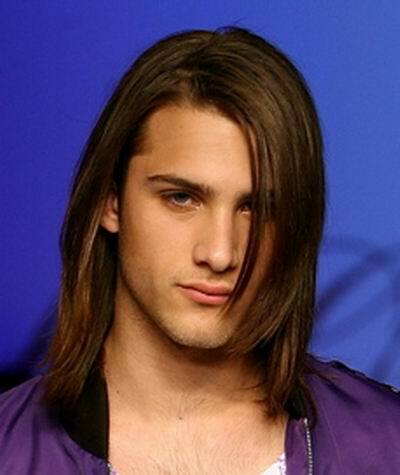 I immediately thought of my romance hero character and had to admit I didn’t know this young man’s verson of Caleb. Yet, the name facinates me. I got the distinct impression a blind date was on the horizon. I’m not sure how I feel being fixed up by my son’s best friend??? with his cousin? Is there some motivation for this bounty of generosity? The answer was a stunner. “Oh, I dunno something like 21 to 40, you’d really like him.” Delivered with the nonchalance only a 16 year old boy can have. When I could breath again I laughed in my mind. Okkaaaayyyy. Age really is irrelevant at a certain juncture. Funny how when you are a mom you can be totally wicked cracked up inside your head and like totally cool outside on your face. I’m not Stacey’s mom so I have to change the lyrics. “My son’s mom has got it going on. oh oh oh” Something like that huha? So in honor of the ….Oh I dunno 21 to 40 Fantasy man, this week I have to give equal time to the younger Fantasy Man to counter balance last weeks…ah, hmm more experienced specimens. David Boreanaz From Bones. What is not to love? Oh and I signed up on Team Jacob a long long time ago. Yeah, Yeah so you think it’s creepy. Can you say F.A.N.T.A.S.Y. I have to give equal billing for the Kick A$$ Fae Folk. And who is this guy… isn’t he just as cute as a button? Okay scratch that along with anyone under 75 years old calling me Ma’am. My first fantasy hearth throb was a pirate in the Carribean. He had lion golden eyes and central american/jamacian like accent. I’ve forgotten kissing a lot of past flames but I will NEVER forget kissing him in the cool rain, standing on deck of a fleet ship cutting through the aqua blue waters of the Carribean. In my memory he may have favored one of my favorite action hero pirates. While Johnny Depp was nothing short of shear genius as Jack Sparrow. It was this one who made my heart swell and beat faster to have him kiss Elizabeth at the end. Tell us who makes you pulse pound? Share that inner fantasy man. This entry was posted in Uncategorized and tagged authors, Beginning Writers, creative writing, Eden Glenn, Fantasy Man, journey in writing, literacy, new writers, Novel, paranormal, romance, writers, writing. Bookmark the permalink. God…I don’t have kids, but I have nephews and one of them told me, “I have some friends with single dads. You want to meet one of them?” In their eyes they think I need an older man apparently. Being 33, I don’t know how to feel about that. I mean…it doesn’t really matter to me how old a man is, not really. As long as they’re legal, which Jacob certainly is…now. Okay, so I’m not a cougar yet. I believe the term is puma? I explained this to my mom yesterday. 30-40 is a puma, 40-50 is a cougar, 50-60 is a wolverine (I’m making that last one up, but it works). please dear god tell me cougar extends longer, say to 60. Then Jackal perhaps instead of wolverine?? LOL, I don’t know for sure, I made the 50-60 up 😉 I like wolverine better than jackal…but maybe instead of those it should be jaguar…cause they catch their prey and drag them up a tree. That could work! ROFL. Okay perhaps Jackal came out of thinking of my 77 year old widowed mother who OMG is looking for a boyfriend. Jackal indicates the canine quality of hounding like a dog with a bone. T.M.I. I would deff be a jaguar at that age. I’m not Team Jacob or Team Edward. Though Cedric Diggory is cute. he’s a jerk by the way. Oh that model that everyone was trying to figure out who he was? The one with the hoodie? OH, no. I see him now. There have been so many!!! LOL. Amazing. High on looks, low on personality. Too bad.